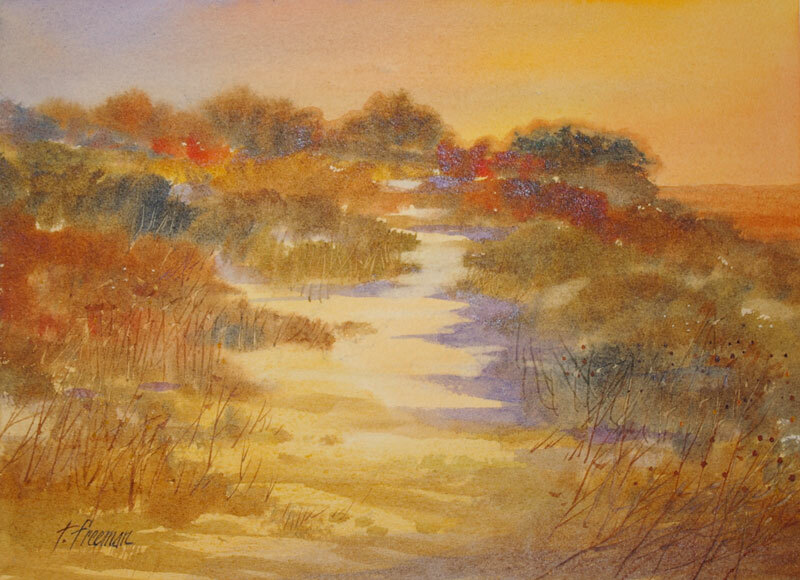 Thomas Freeman Original Watercolor Painting: "Lovely Walk"
Again a watercolor of Point Lobos near Carmel. I liked the afternoon light and the purple shadows – warm and cool. Many weed forms were produced with a sharp point while the color was wet. A waterproof, acrylic spray was added when dry.